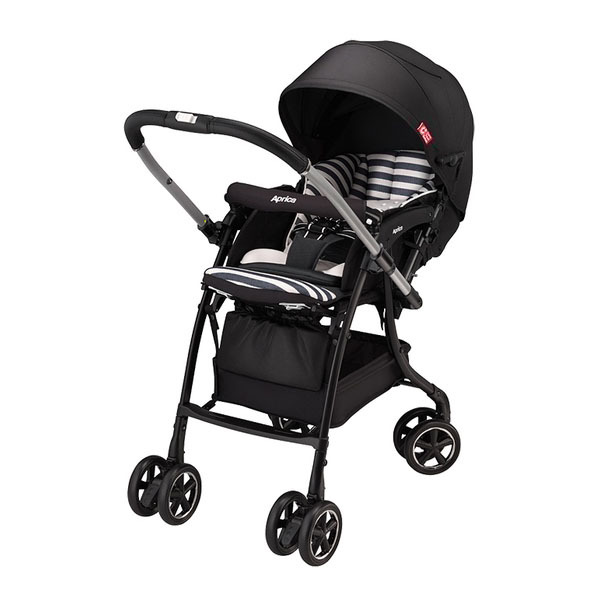 The Aprica Luxuna boasts swivel front wheels that make it a delight to handle. Well what happens when you swich positions so the seat is facing you? Voila! The front wheels will lock and the rear wheels will swivel automatically. It also has many features that both keep the baby comfortable and the parent happy. 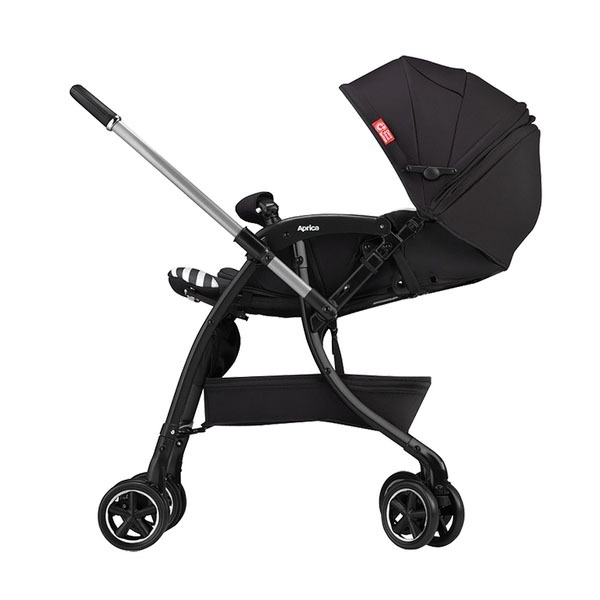 The very big news about this stroller is that you can use it with adjustable baby carrier.